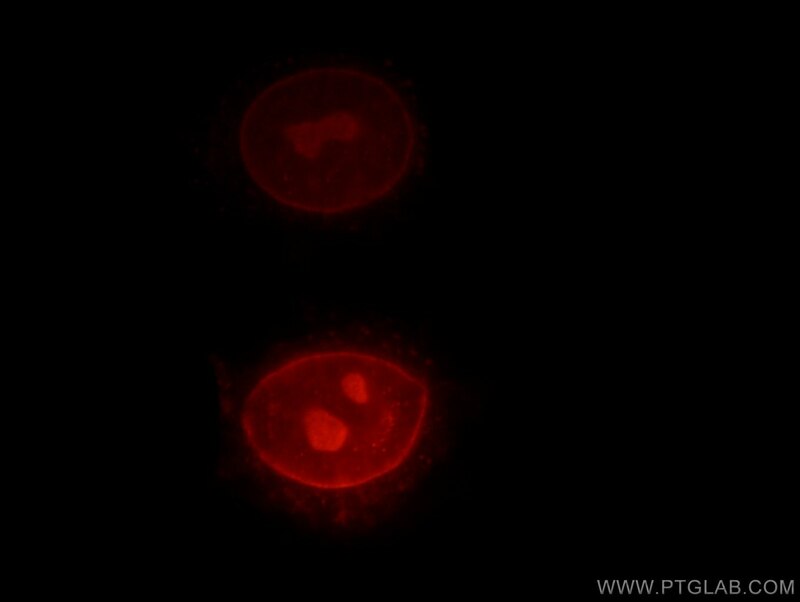 Immunofluorescent analysis of HepG2 cells, using RPIA antibody 13010-1-AP at 1:25 dilution and Rhodamine-labeled goat anti-rabbit IgG (red). RPIA(Ribose-5-phosphate isomerase) is also named as RPI and belongs to the ribose 5-phosphate isomerase family. It is involved in pentose-phosphate shunt, non-oxidative branch. It is an enzyme in the pentose-phosphate pathway, appears to be determined by a single structural locus and is probably a dimer(PMID:7396409).